FIU’s Office of Multicultural Programs and Services will honor the legacy of Martin Luther King Jr. with a month-long celebration inspired by King’s life and work. One of the highlights will be the annual MLK Commemorative Breakfast, which will take place at 8 a.m. on Friday, Jan. 15, in the Graham Center Ballrooms at Modesto A. Maidique Campus (MMC). The keynote speaker will be Marian Wright Edelman, founder and president of the Children’s Defense Fund (CDF) and advocate for disadvantaged Americans. Edelman is a graduate of Spelman College and Yale Law School. She began her career in the mid-60s when, as the first black woman admitted to the Mississippi Bar, she directed the NAACP Legal Defense and Educational Fund office in Jackson, Mississippi. In 1968, she moved to Washington, D.C., as counsel for the Poor People’s Campaign that King began organizing before his death. She founded the Washington Research Project, a public interest law firm, and the parent body of the CDF. A limited number of tickets are available. For ticket information, call Barbara Douglas at (305) 348-2436. Wednesday, Jan. 13, from 6-8 p.m. at The Patricia & Phillip Frost Art Museum at MMC: Opening reception for MLK@The Frost, a series of exhibits featuring artwork on the civil rights movement. The exhibit runs from Jan. 11-Mar. 19; admission to the museum, the exhibit and reception are free and open to the public. 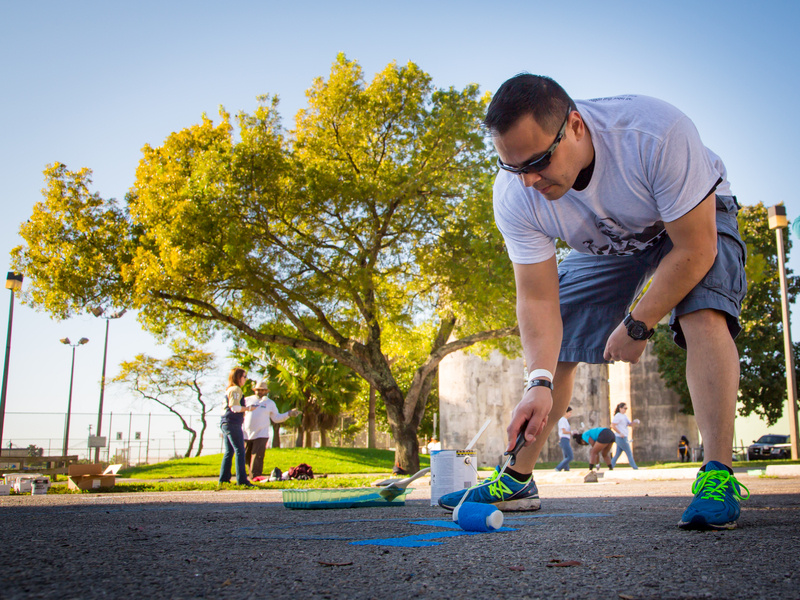 Saturday, Jan. 16, at 9 a.m.: Approximately 700 FIU students will participate in the MLK Day of Service, volunteering at 25 service sites, and helping in projects that include painting, landscaping and general clean-up. Monday, Jan. 18, at 11 a.m.: FIU students, faculty, and staff will participate in the MLK Parade in Liberty City. The parade will run along Northwest 54th Street, from Northwest 10th to 32nd Avenue. Wednesday, Jan. 20, at 10 a.m.: The Youth Forum and Peace Walk will bring children from Miami-Dade County and Broward County schools to the Wolfe University Center Ballroom at FIU’s Biscayne Bay Campus for an inspirational discussion about achieving success and following the ideals of King in their everyday lives. The keynote speaker will be Donovan Campbell, WSVN sports reporter and FIU alumnus, who served in the U.S. Army for three years and is a member of the National Association of Black Journalists. This event is free and open to the public. For more on FIU’s MLK Commemorative Celebration, click here. For more event or ticket information, contact the Office of Multicultural Programs at 305-348-2436. Happy New Year! I am very impressed and inspired by FIU’s dedication to making a difference in the community, as evidenced by your civic engagement, volunteer and service learning programs. I look forward to working with you at FIU in the near future!